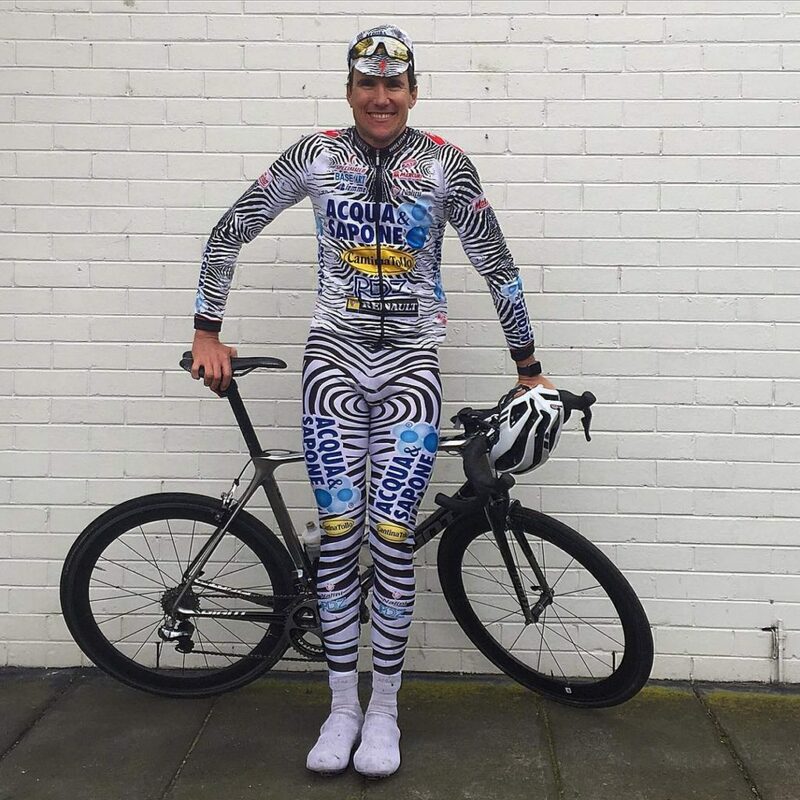 In this video we go inside Lee ‘Hollywood’ Turner’s wardrobe. 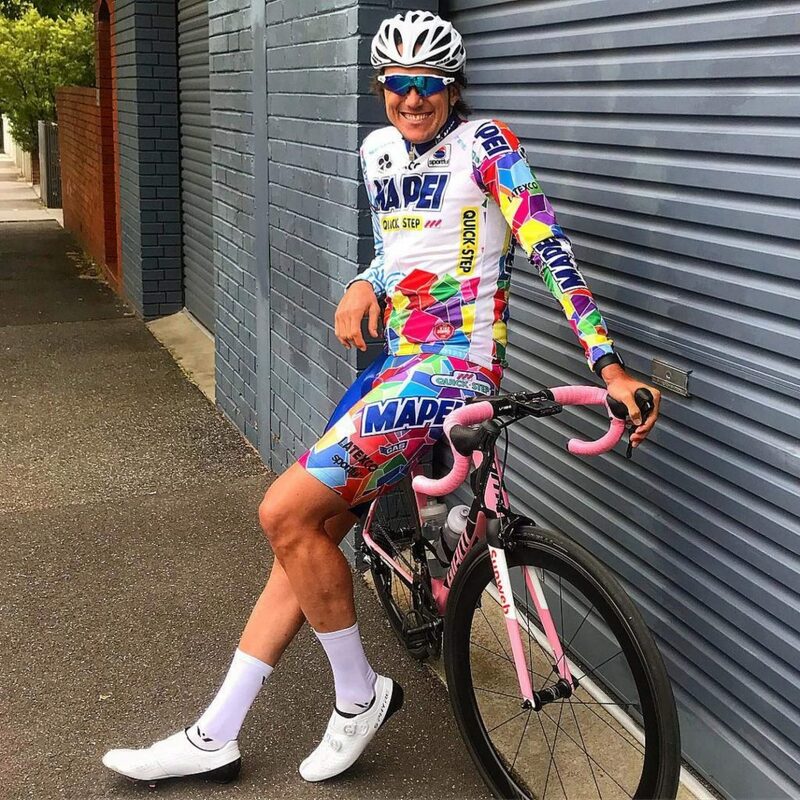 Lee’s range of cycling gear has become an institution in the local Melbourne road cycling scene. 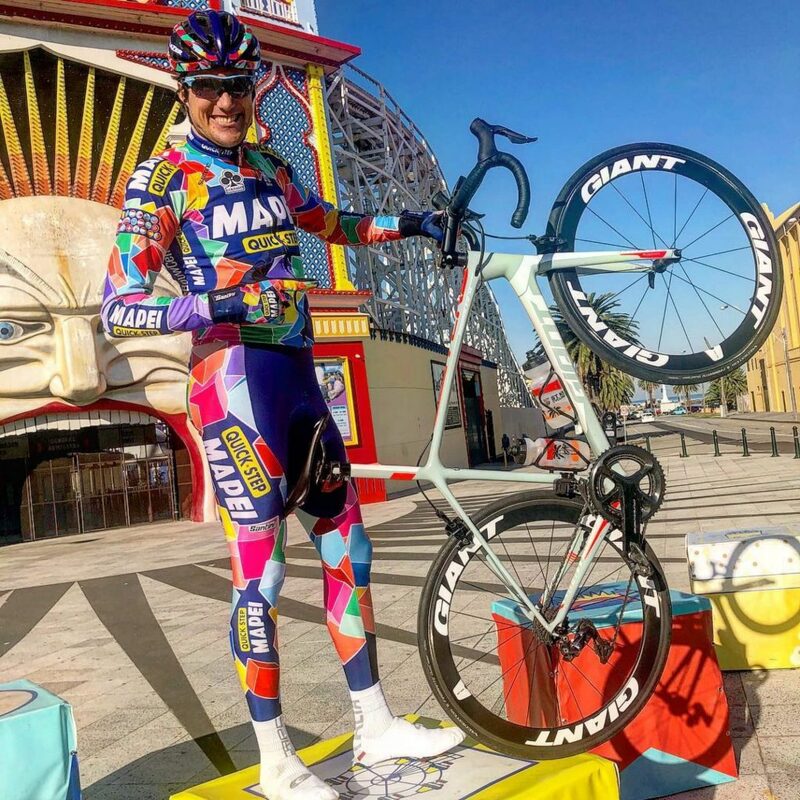 Going hand-in-hand with his colourful character, you’ll consistently see Lee’s bright and shiny cycling kits catching your eye in many of Melbourne’s renowned local bunch rides. 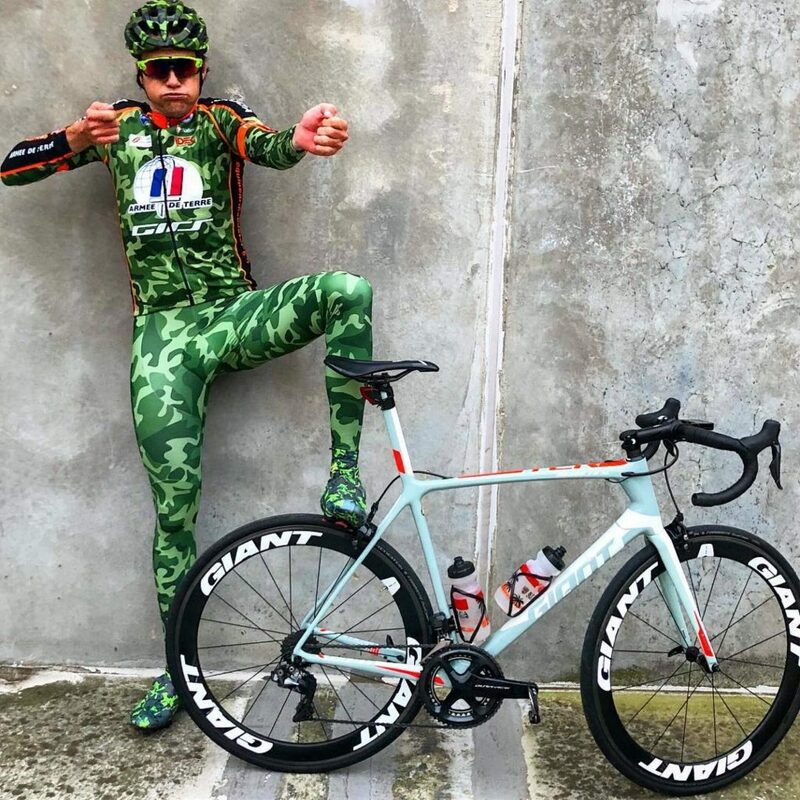 Lee is a regular here on the Bike Chaser website. 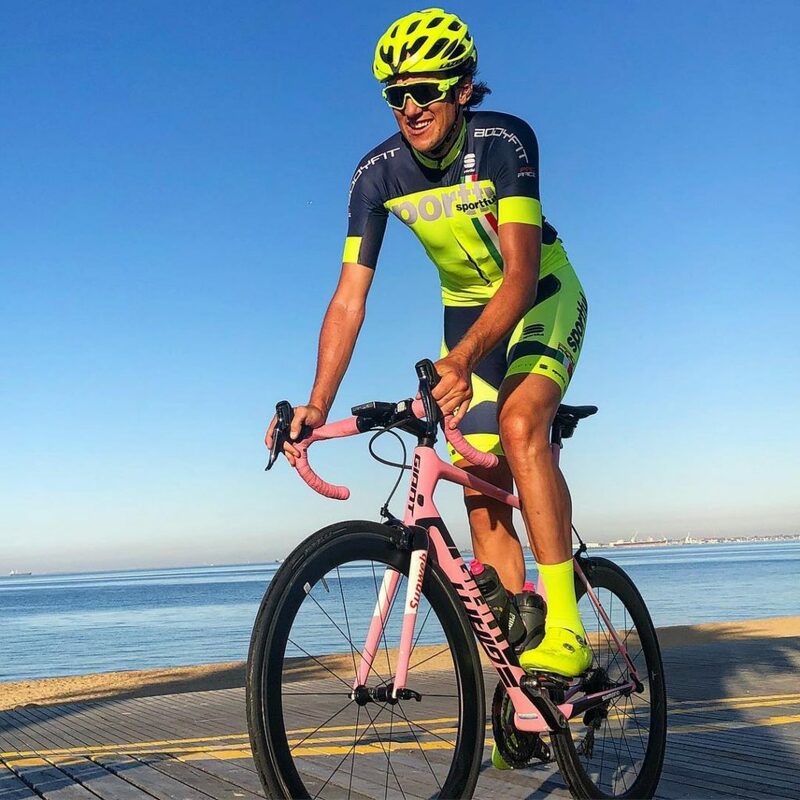 He runs a podcast called ‘The Hollywood Hour’, we’ve gone into detail on his Instagram account, and we also wrote a piece on him many years ago when we were first getting Bike Chaser off the ground. 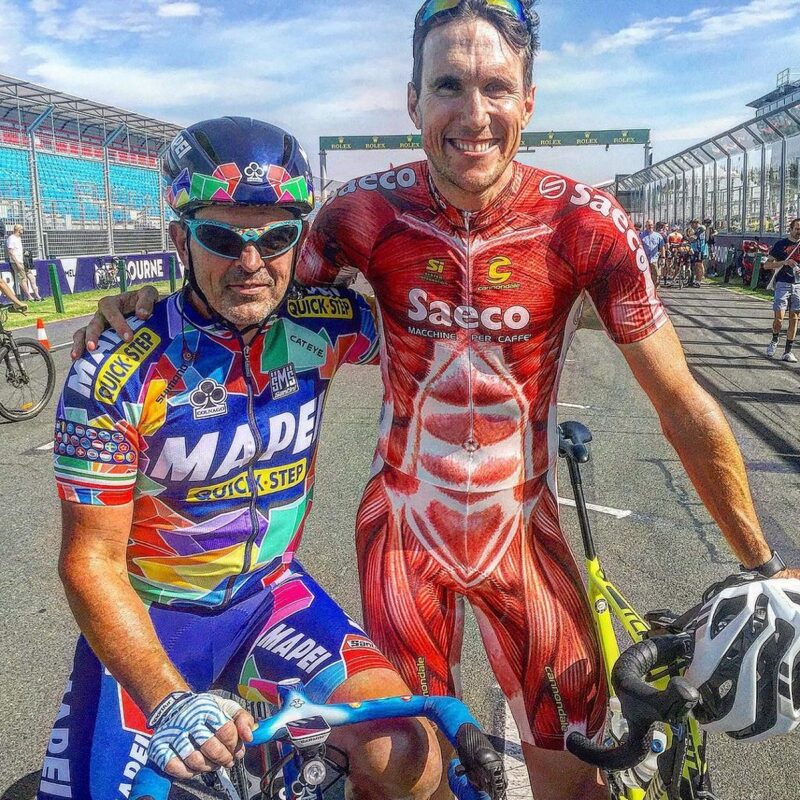 Check out Bike Chaser’s range of clothing. 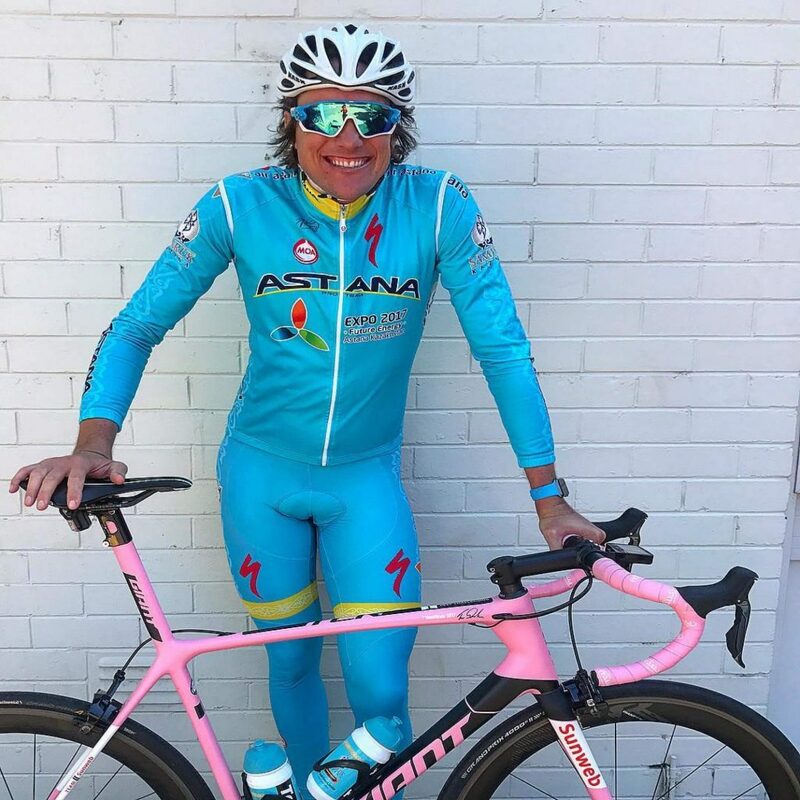 This Saeco kit is Lee’s most rare. It’s also valued at $850! 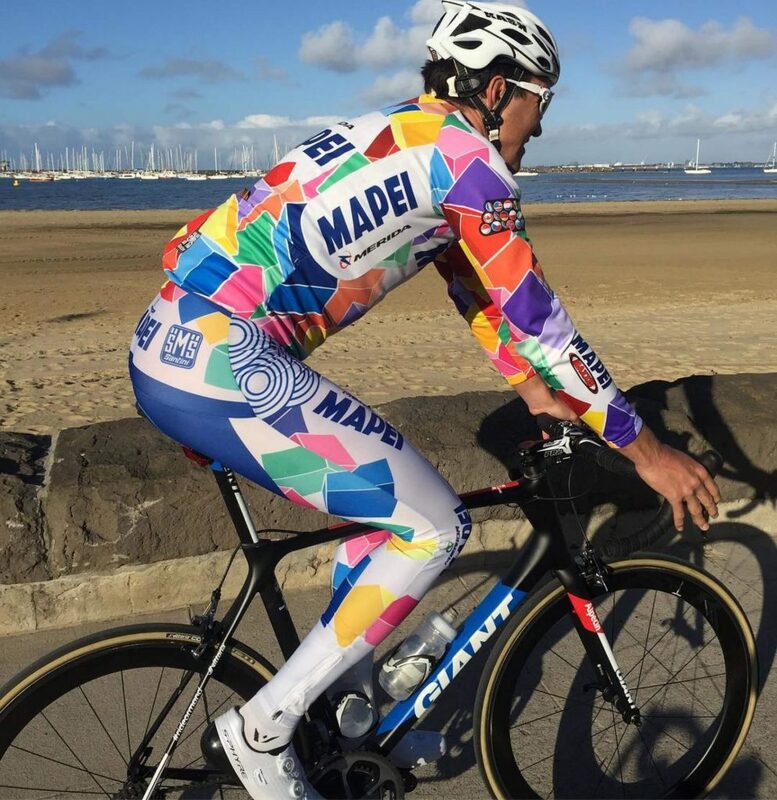 If you watch the video you’ll see the array of different types of Mapei Lee has in his wardrobe. 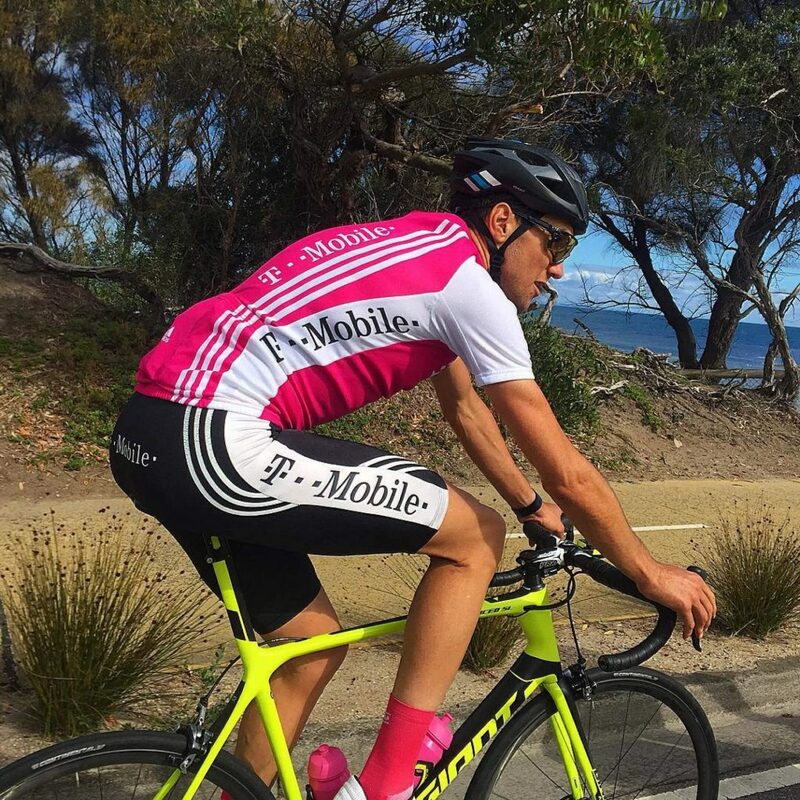 The T-Mobile ‘pink and white’ or ‘white and pink’ combo’s would rival the Mapei kits in Lee’s wardrobe. In terms of volume of styles! See the attention to detail here. 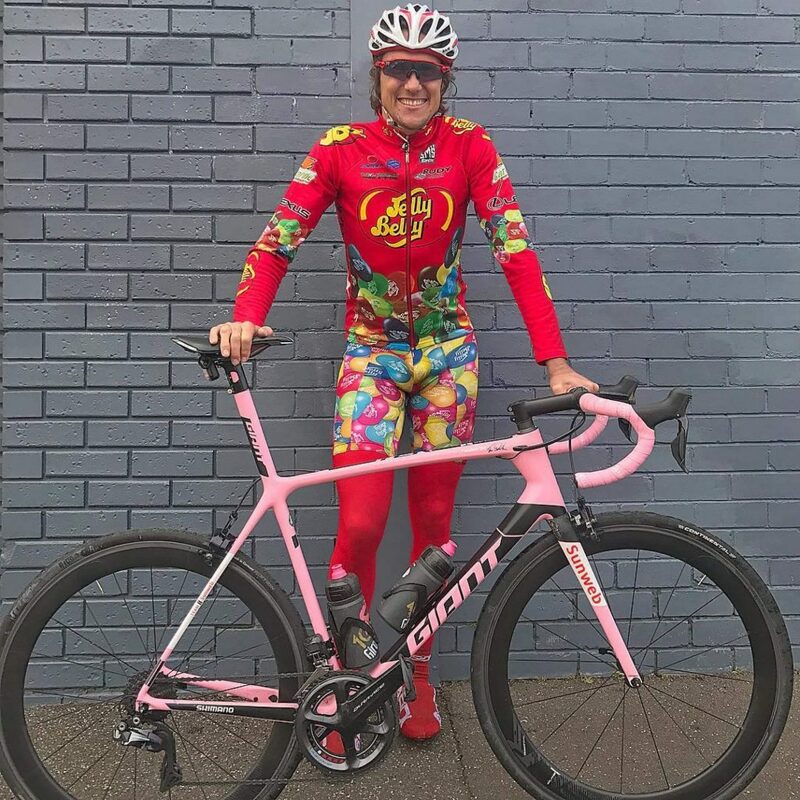 Matching glasses, helmet, and shoe covers. 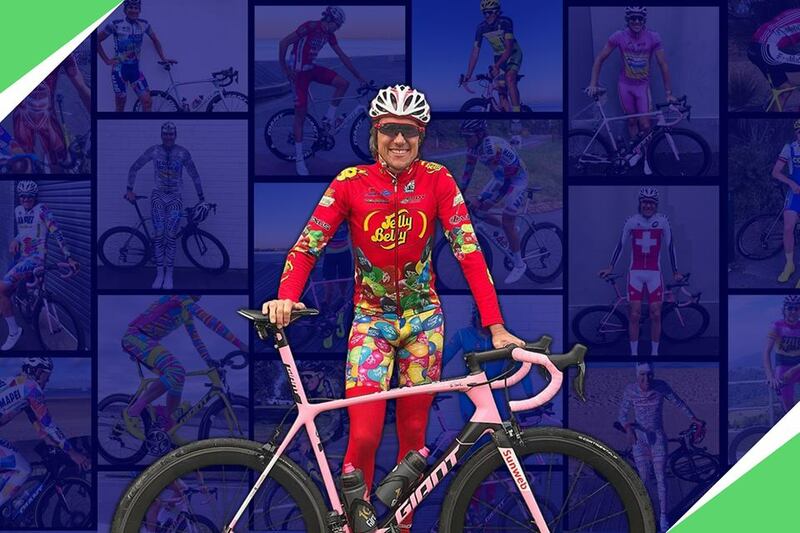 Watch the video to hear what Lee has to say about the Jelly Belly kit. LOL! 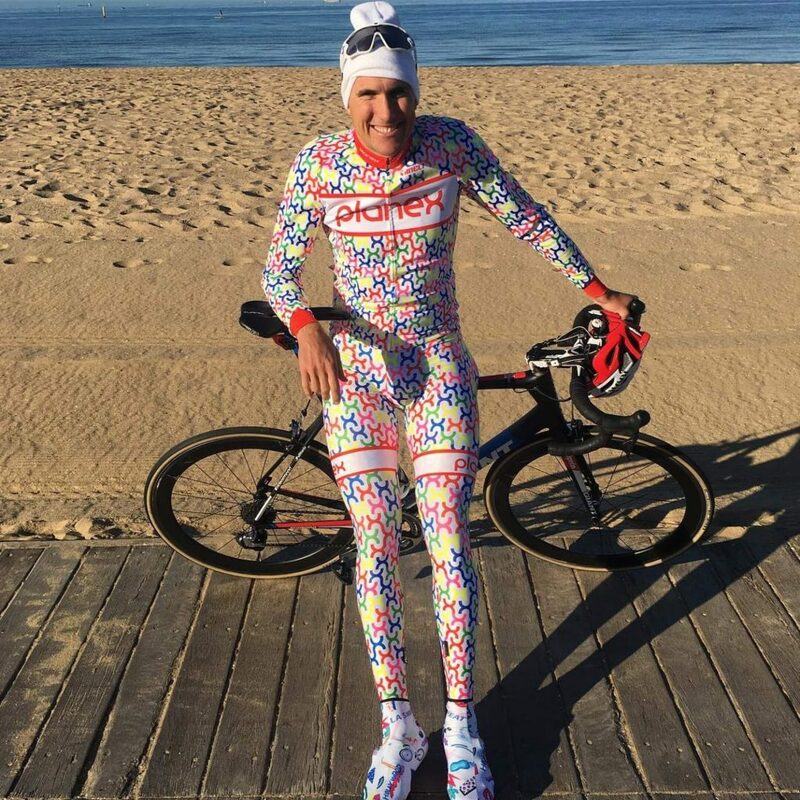 Lee wearing his Planex kit. Lee works for Planex who provide architectural solutions / adaptive storage for the evolving workplace. 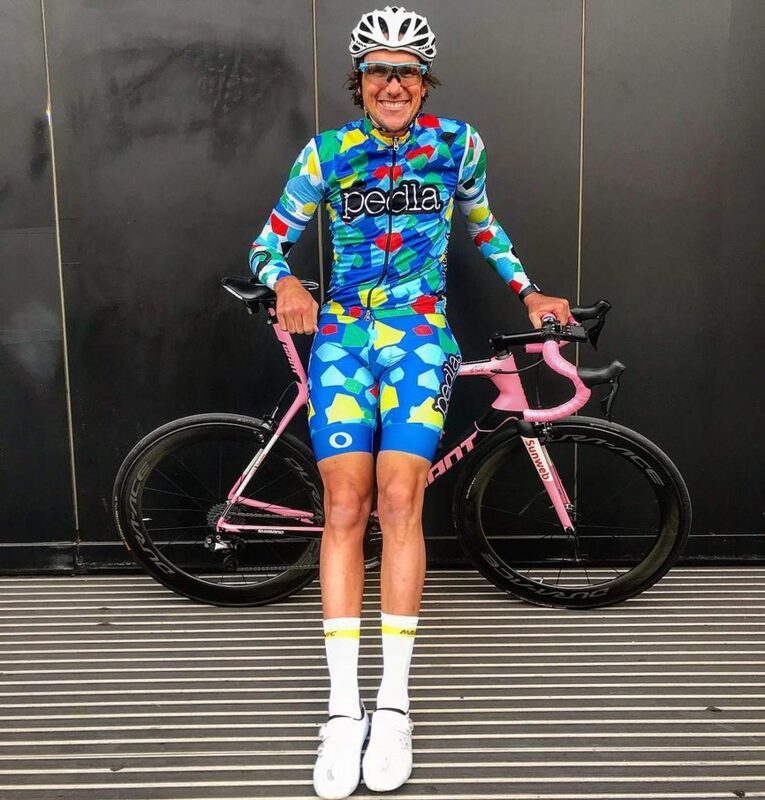 Is the Zebra style Acqua Sapone the loudest?